You’ve made the decision to become a Salesforce.com customer – but how do you get started? Who should be involved, how long will it take, and what do you do first? Take a deep breath – migration to the cloud does not have to be a stressful experience. We’ll guide you on how to avoid the traps and pitfalls of failed CRM implementations. Moving from a legacy CRM system like ACT!, GoldMine, Advent, Junxure, SalesLogix, Sage CRM, or Microsoft Dynamics CRM to Salesforce? Don’t fret. It’s a process we’re familiar with and it accompanies most implementation projects. We have a dedicated data team and an established methodology to ensure your historical customer and company records are migrated correctly. Still running the Classic User Interface (UI)? Well it’s time to move up from the 2015 version of Salesforce (Classic) to the Lightning Experience and take full advantage of all the innovation and new features being delivered by Salesforce. Download our ebook or watch our Dreamforce presentation on how to migrate your company to Lightning in four steps. Financial Services Cloud is here and evolving rapidly. The FSC data model is complex and unique to Salesforce. ShellBlack has delivered multiple implementations of FSC across a wide variety of industries including Wealth Management, Mortgage, and Banking. Our Financial Services Cloud projects have ranged from a dozen users to hundreds. A third of our clients are in financial services, so let us bring our knowledge and expertise of your industry to your FSC project! Perfect for small businesses that would like their sales team up and running in a matter of weeks. This fixed fee engagement targets configuring Salesforce.com to support your sales process, while optimizing for usability and data quality. A QuickStart Implementation includes an end-user training session focused on CRM best practices, with hands-on exercises on how to quickly find, create and update records in Salesforce. Do you have a support team that you need to have in Salesforce? Let us create a support process using Cases to provide world class service to your customers. We’ll also provide a starter set of reports and dashboards so you can see Case volumes being handled and resolved by your support agents. Lastly we train your support team so they’re hitting the ground running quickly! Ready for marketing automation with Salesforce? Our Pardot Quickstart package is designed to get all your one time technical setup items addressed so you can start creating your marketing assets – emails, landing pages and forms! Enabling lead scoring and Engage also available. Strong CRM adoption begins with an elegant design and continues to grow with great end-user training. Being a web-based platform you’d expect Salesforce to be designed with usability in mind, but you’d be making a big mistake if you think users will adopt the cloud without being trained. From logging in, searching, navigating, logging activities, to editing and creating records. We take your employees from the basics to performing their day-to-day job functions in Salesforce. Is your System Administrator on vacation and you need to make an update to your Salesforce configuration? Not sure of the business impact of updating your settings in Salesforce? Need a block of time with a Salesforce guru but want to "pay as you go" at an hourly rate? Perhaps your company has had an acquisition of a company that uses Salesforce and now your faced with the daunting task of how to bring the two databases together. Careful planning and coordination are essential to successfully merge two (or more) instances of Salesforce.com. Sold part of your company and need to split your Salesforce database into multiple orgs? We can help with that as well! Already a customer of Salesforce.com, but not seeing the synergy you had expected? Self-implemented and not sure you’ve structured everything correctly? Initial implementation falling down around you? Having difficulty keeping Users working inside the system? Dashboards not providing you the value you expected? Conduct a review of your business processes in Salesforce and fix your configuration issues. Trying to understand the differences between Salesforce.com Sales Cloud and the Service Cloud? Don’t know which Salesforce product is best for your company? 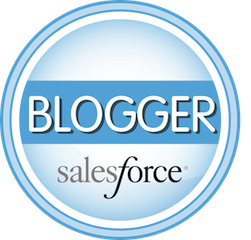 Wondering if your business processes are a good fit for Salesforce.com? Need help understanding how your employees will work with Salesforce CRM before you buy?